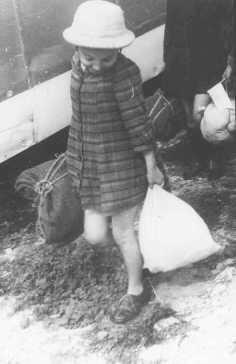 One of the "Tehran Children"
A Jewish girl, one of the "Tehran Children" (about 1,000 Polish Jewish refugee children who reached Palestine), upon arrival at the Atlit train station. Palestine, February 18, 1943. 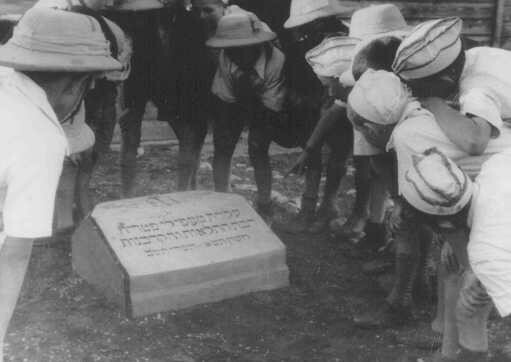 Polish Jewish refugee children known as the "Tehran Children" gather at a memorial stone dedicated to the Jewish refugees who died when the "Patria" (a ship bound for Palestine) sank in November 1940. Atlit, Palestine, 1943. 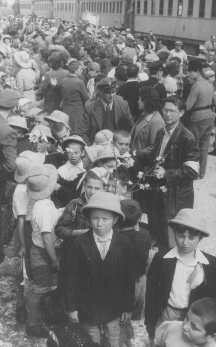 Some of the Polish Jewish refugee children known as the "Tehran Children." 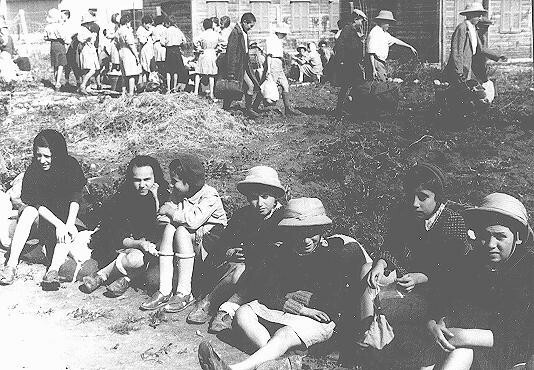 Some of the Polish Jewish refugee children known as the "Tehran Children." Atlit, Palestine, February 1943. 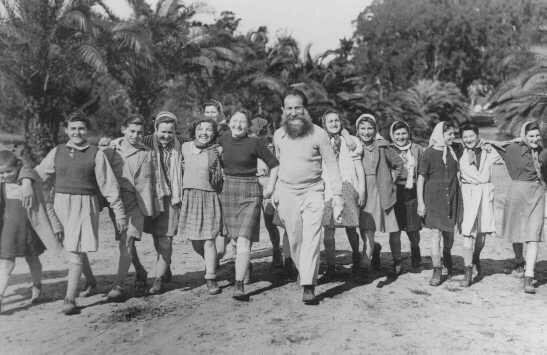 Some of the Polish Jewish refugee children known as the "Tehran Children" with an instructor after their arrival in Palestine. 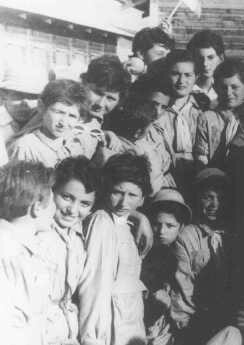 Some of the Polish Jewish refugee children known as the "Tehran Children" with an instructor after their arrival in Palestine. Atlit, Palestine, 1943. 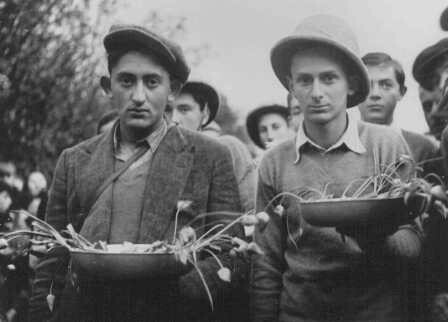 Polish Jewish refugee youth known as the "Tehran Children," who arrived in Palestine via Iran, learn agricultural skills. Ayanot, Palestine, 1943. 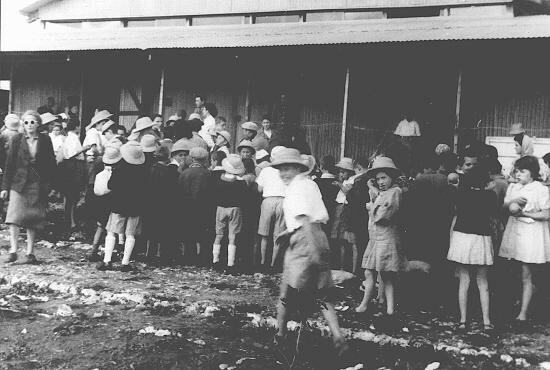 A group of Polish Jewish children (known as the "Tehran Children"), who arrived in Palestine via Iran, at the Mikveh Israel agricultural village. Palestine, February or March 1943. 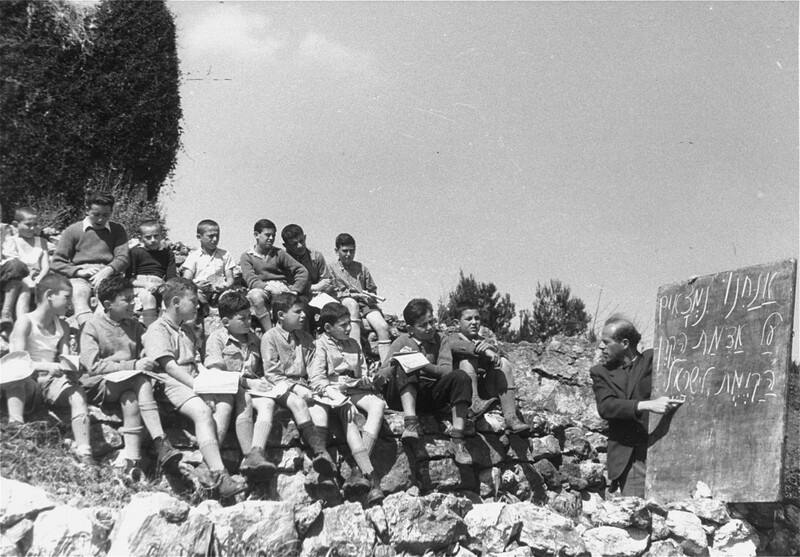 Some of the "Tehran Children" studying near Jerusalem. 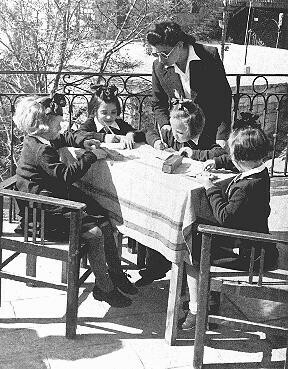 Some of the "Tehran Children," Polish Jewish refugees, study Hebrew in a Jewish National Fund youth village near Jerusalem. Palestine, March 9, 1943. 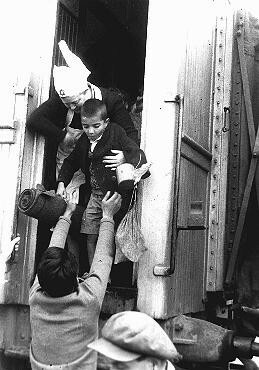 A nurse assists one of the "Tehran Children"
A nurse helps one of the "Tehran Children," Polish Jewish refugees, disembark from a train at the Atlit refugee camp. Atlit, Palestine, February 18, 1943. 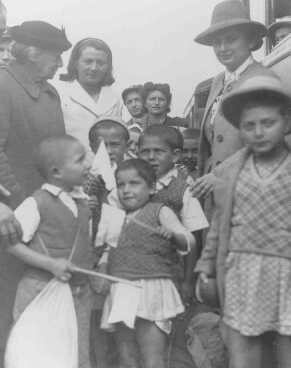 Henrietta Szold (left, in hat), founder of the Hadassah Women's Zionist Organization, welcomes some of the Polish Jewish refugee children known as the Tehran Children, upon their arrival in Palestine. Atlit, Palestine, February 18, 1943. A group of Polish Jewish refugee children, known as the "Tehran Children," arrives in Palestine via Iran. Atlit reception camp, Palestine, February 18, 1943. A group of Polish Jewish refugee children known as the "Tehran Children" after their arrival in Palestine. Atlit, Palestine, February 18, 1943. A group of Polish Jewish refugee children (known as the "Tehran Children") arrives in Palestine via Iran. Atlit reception camp, Palestine, February 18, 1943. 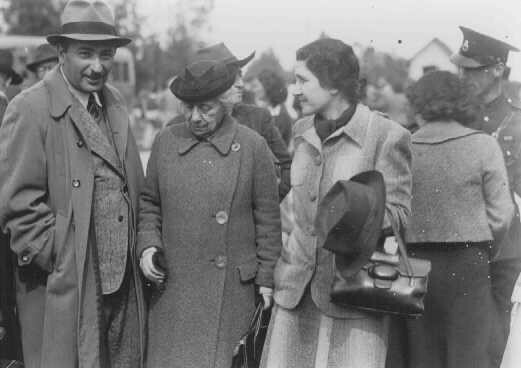 Eliahu Dobkin of the Jewish Agency (left) and Henrietta Szold, founder of the Hadassah Women's Zionist Organization (second from left), await the arrival of the "Tehran Children." Atlit, Palestine, February 18, 1943.